I gave 4 stars to Love Comes Later. Muslim heritage, living in Qatar, an arranged marriage. 3 years after his wife’s death Abdulla is to be married again-not by his choice. His wife to be, Hind, is not thrilled with the prospect either. Hind holds off the reception for a year to go to school in London giving Abdulla time to contemplate the marriage. 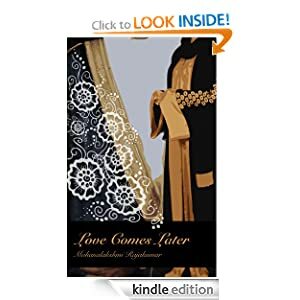 Love Comes Later is about love, romance, friendship, forgiveness and delves into some of the cultural differences and decisions men and women have to make to adjust to married life and help love bloom. delves into some of the culural differences and desicions men and women have to make to adjust to married life and help love bloom.